Audi A6 Avant Performance, Engine, Ride, Handling | What Car? The 2.0 TDI Ultra pulls smoothly and with satisfying vigour from low revs, so it’s just as easy to make laid-back progress in town as it is on the motorway. 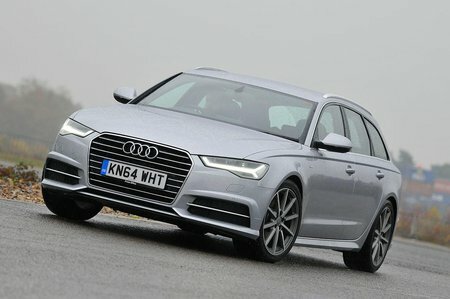 Even the 3.0 TDI 218 is sports-car fast, building speed smoothly and relentlessly, offering effortless overtaking speed. The more powerful versions feel even more muscular. The seven-speed automatic only enhances the ease with which the A6 motors on, shifting smoothly but quickly in standard automatic mode, with only a subtle jerkiness on the occasional downshift. Sports mode can be a bit slow to kick-down, but the standard wheel-mounted paddles have the gearbox flipping through the gears smartly and without fuss. The suspension on the Avant 2.0 TDI Ultra is decent, but not flawless. S line models ride on 18in alloys and have standard Sports suspension (which includes a 20mm lower ride height). Black Editions go even further with giant 20in wheels that don’t do the ride any favours. The A6 on its softer Dynamic set-up – standard on SE, or a no-cost option on S line – will be the better bet, especially if you stick to 17in wheels.. The standard set-up on S line settles over most surfaces, and doesn't prevent the A6 from being a great motorway cruiser, but sharp-edged bumps send a shudder through the cabin and can make the car feel a trifle busy over eroded town roads. It’s a similar story in the 3.0 TDI. Even with optional adaptive air suspension, it thumps heavily over manhole covers and expansion joints, although smaller bumps and undulations are ironed out. This system is available on lesser A6s, but isn’t really worth the extra cost. Even the front-wheel drive 2.0 TDI offers grippy handling, and remains planted rigidly through fast corners, while the 3.0 TDI Quattro is even more composed. However, the steering is a bit lifeless regardless of which setting you choose on the Drive Select system. 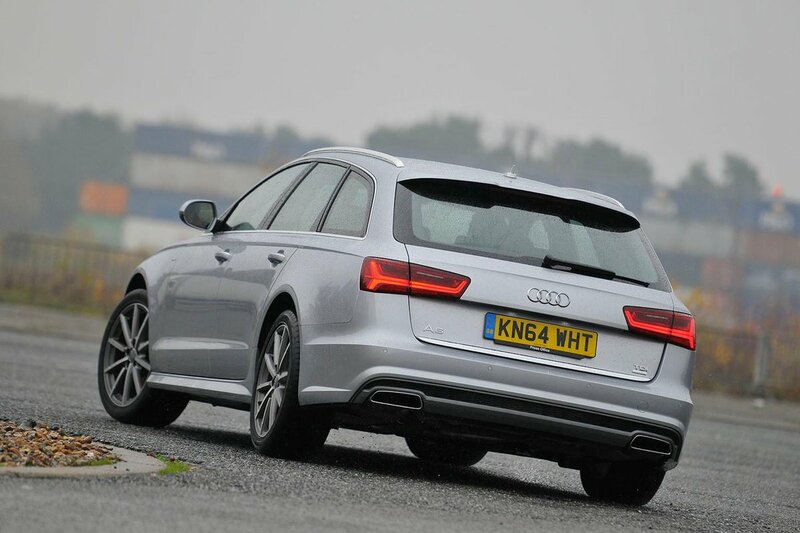 Refinement, though, is excellent in both the 2.0 and 3.0 TDI A6. Acoustic glazing is standard across the range and helps reduce wind noise still further in what was already a very quiet car, while engine noise in both is remarkably muted, even if you stray higher up the rev range.